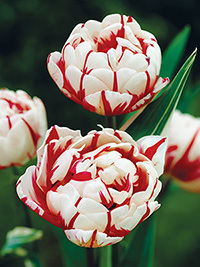 Ivory-white petals with red stripes. Has a lovely sweet fragrance. Early to mid season flowering, 35cm.